Why is there a need to describe traffic networks’ cycle friendliness? This brief report explains how BikeRoute measures cycling quality. Comfort and travel time varies from city to city and from neighborhood to neighborhood.It can be hard to pinpoint what makes a city more cycle friendly than others and therefore a quality description is helpful. A quality description is used to identify and explain what works well today, and what works less well. BikeRoute’s poster which summarises the service's strengths. 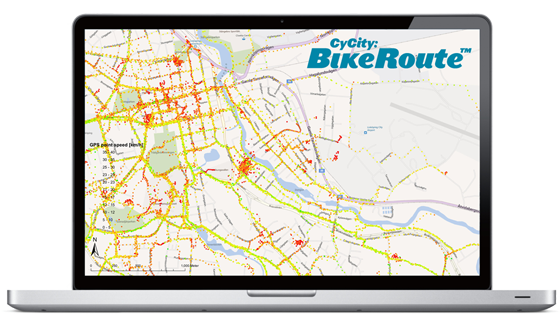 Read more about BikeRoute™ and see results of an analysis of actual travel speed on different types of bicycle infrastructure in the following slide show which was presented at the international cycling conference VeloCity in Vancouver, Canada in 2012.